Review Having dipped its toe into the netbook waters with the Advent 4211, a rebadged version of the MSI Wind, DSGi - the retailer formerly known as Dixons - has quickly jumped in with a pair of new Small, Cheap Computers: the 4212 and 4213, both based on ECS' G10IL1. Both machines are almost identical. There's one key difference: the 4213 has integrated HSDPA 3G connectivity, the 4212 doesn't. 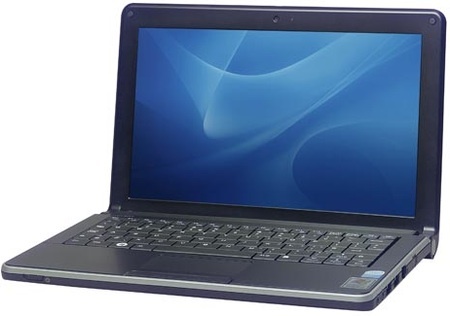 The basic spec isn't hard to guess: 1.6GHz Intel Atom N270 processor; 1GB of DDR 2 memory; and 10.2in, 1024 x 600 display. 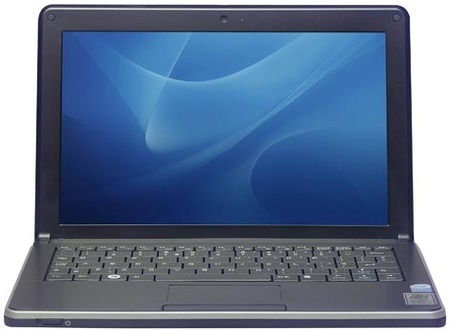 The machine comes with a 160GB SATA hard drive pre-loaded with Windows XP. In addition to HSDPA, the 4213 has 802.11b/g Wi-Fi and 10/100Mb/s Ethernet. It as Bluetooth 2.0 too, along with the customary three USB 2.0 ports, VGA and an SDHC card reader. That's on the left side, next to one of the USB ports, the VGA connector, power socket and a Kensington lock slot. You'll find analogue audio sockets, the other two USB ports, the Ethernet connector and a blocked modem port on the right-side. The power key is on the front, where we initially mistook it for a Wi-Fi switch. We don't like it - it's spring-loaded and you have to hold it extended for a good second or two before the 4213 starts up. Like the 4211, the new model is kitted out all in black - this time with a shiny lid - relieved by a slim, silver band round the edge of the keyboard area and silvery-grey screen-hinge caps. Grasp the 4213 at the side and it feels quite slim. That's an illusion - the edges curve down to a bulk base that swells past the down-facing stereo speaker grilles to match the size of the battery. This makes it look a lot thinner in photos than it actually is.